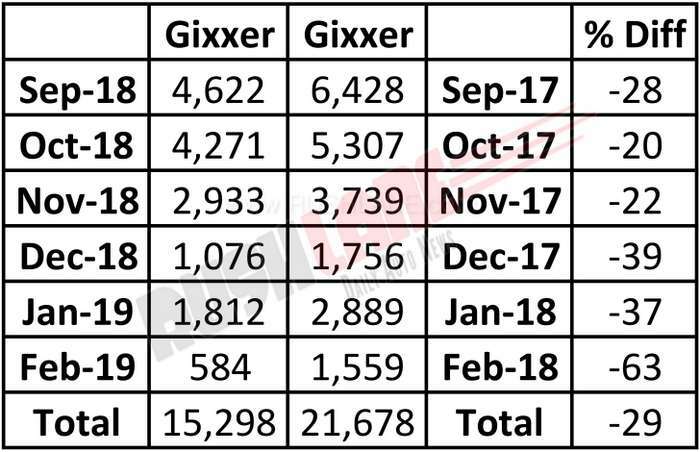 Suzuki Gixxer sales have dipped significantly over the past 6 months from September 2018 to February 2019. As Suzuki reportedly gears up for the launch of a new 250cc Gixxer to make a debut in Indian market in the months ahead, sales of the current 155cc model have been steadily falling. Sales which stood at 6,428 units in September 2017 fell each month thereafter with sales in February 2018 at 1,559 units with total sales during the six month period at 21,678 units. The same six month period from September 2018 to February 2019 has also seen a significant dip in sales of Suzuki Gixxer 155. September 2018 sales dipped 28 percent to 4,622 units from 6,428 units sold in the same month of the previous year while sales in October 2018 fell 20 percent to 4,271 units as against 5,307 units sold in October 2017. Sales in November and December 2018 also fell to 2,933 units and 1,076 units respectively, 22 percent and 39 percent less than 3,739 units and 1,756 units sold respectively in the same months of the previous year. January 2019 sales of the Suzuki Gixxer fell 37 percent to 1,812 units down from 2,889 units sold in January 2018 while sales in the past month fell 63 percent to just 584 units downs from 1,559 units sold in the same month of the previous year. The 6 month period of October 2018 to February 2019 saw just 15,298 units of the Suzuki Gixxer sold as against 21,678 units sold in the corresponding months of the previous year. Suzuki Gixxer is offered with ABS and without ABS. 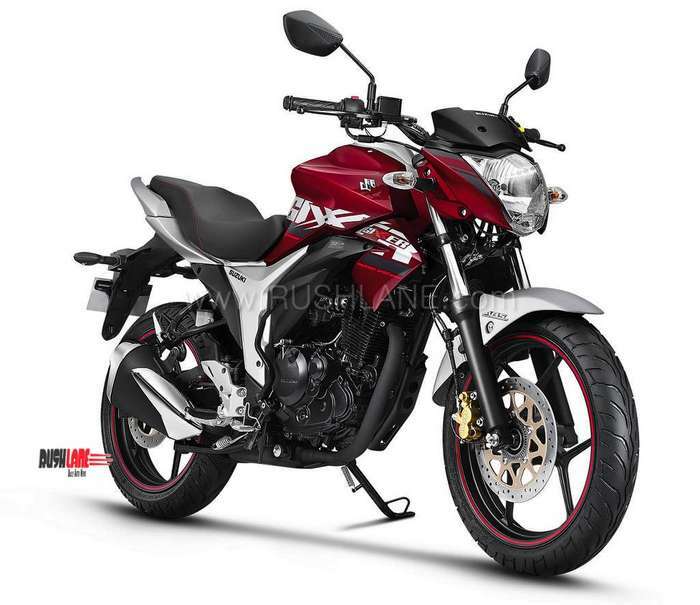 With non-ABS variants getting banned from 1st April 2019, the huge decline in sales for Feb 2019 could be because of discontinuation of Gixxer non-ABS. Price of Gixxer ABS starts from Rs 88,388, ex-sh, Delhi. It is powered by a 155 cc engine which delivers 14.8 hp and 14 Nm. Rivals of Gixxer include – Yamaha FZS FI, Bajaj Pulsar and Honda CB Hornet.